Four Democratic lawmakers in Oregon have introduced a bill that, if passed, would mandate that all health providers in Oregon offer comprehensive reproductive health care to women, regardless of their income. While Oregon is already thought of as a progressive bastion, a coalition of women’s health and advocacy groups are pushing to codify full access to reproductive health, including abortion, in state law while Democrats enjoy majorities in both chambers of the state house. With conservatives nationwide rolling back access to abortion and reproductive health programs and the Affordable Care Act before the Supreme Court for the second time, Oregon provides an uplifting example of what a state can do to support the health of its residents. If passed, the “Comprehensive Women's Heath Bill” would require all health providers in the state, whether public, private, or employer-provided, to take care of a full range of reproductive health services. The lawmakers aim to provide a full life cycle of reproductive care, from contraception and abortion for those seeking to prevent pregnancy to prenatal care, childbirth services, and postpartum care for those looking to have children. 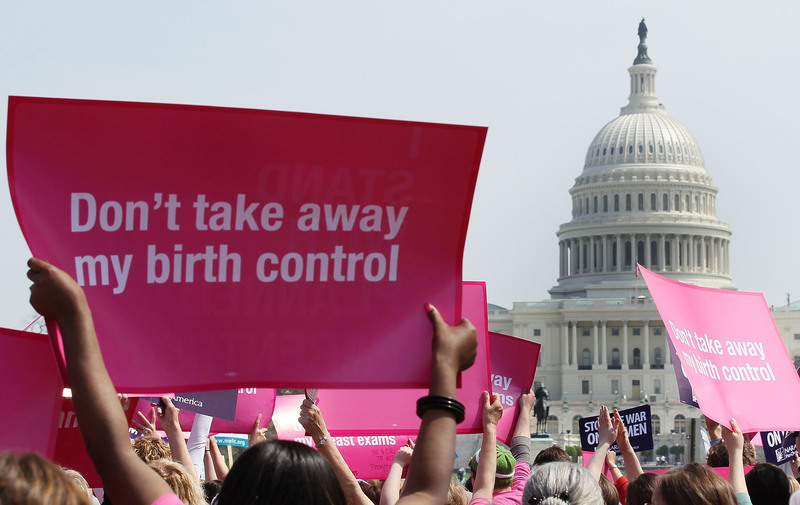 Included as well is a measure that would give women a full 12-month supply of birth control for free in one lump delivery, thereby cutting down on the logistical hassle of renewing prescriptions and getting to the pharmacy. This bill standardizes across the board what we mean by access to full-spectrum reproductive health from pre-conception to postpartum. Abortions, which have been a lightning rod issue for conservative activists for decades, would also be covered, and health providers would not be allowed to pass on any more than 10 percent of the cost of the abortion procedure onto the woman. Currently, the Oregon Health Plan already offers abortion coverage through its Medicaid program, but the measure is not a part of statutory law. Instead, lawmakers have to insert it into the governor’s budget each year to insure that low-income women have the opportunity to terminate unwanted pregnancies. This bill would institutionalize that state support. The Affordable Care Act, which Oregon wholeheartedly embraced, did expand reproductive health coverage, but some services remain difficult to pay for or access, particularly for women in vulnerable communities. “This bill fills the gaps in our current laws so that Oregonians will be covered for the reproductive health needs regardless of income, how they are insured or where they live," Aimee Santos-Lyons told RH Reality Check. Santos-Lyons is the Director of Programs and Gender Justice Director of the Western States Center. Currently, because of gaps in coverage, our clients have issues regarding lack of access to prenatal care and high teen pregnancy rates … These women are part of the community, and having access to the full spectrum of health care will improve quality of life for everybody. The prospects for the bill’s passage don’t look bad. Since Oregon’s former Gov. John Kitzhaber stepped down last month over his fiancée's consulting for state agencies, Kate Brown has transitioned into the gubernatorial office. Brown, the former Secretary of State and a strong reproductive health advocate, is considered more progressive than her predecessor. Oregon’s farsighted policies on reproductive health provide a salient counterpoint to the conservative anti-sexual health policies and the Tea Party’s rancorous opposition to government public health interventions. (A striking example: in the past four years, states have passed 231 antiabortion measures.) For these Oregon lawmakers, the focus is solely on women — helping women take care of their bodies, plan their families, and direct their lives without the burden of accidental pregnancies, sexual diseases or other sexual health problems.